Norwegian Ambassador to China Geir O. Pedersen has had a very busy year so far. Bilateral relations are now at an all time high, which not only reflects on the dramatic increase of imported salmon from Norway but also on the rising popularity of Chinese tourists flocking to this Nordic country. In May, the new round of free-trade-agreements between China and Norway will take place in Oslo, opening doors for greater possibilities of bilateral ties. 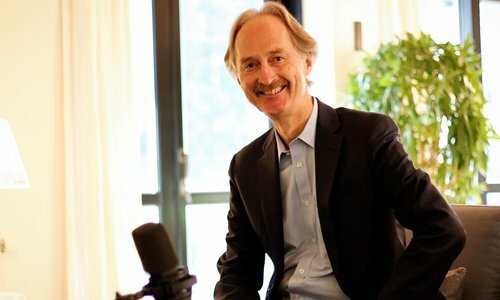 The Global Times (GT) sat with Pedersen who shared his thoughts on Norway and its connections with China. GT: China outlined its plan to develop a Polar Silk Road in its first official Arctic policy white paper early this year. What does the paper mean to you, and how does the Norwegian government plan to work with China on the initiative? Pedersen: As an Arctic coastal state, Norway is of the opinion that compliance with international law and sustainable use of natural resources is the basis for the peaceful and prosperous development of the Arctic region. Norway believes it is possible to strike a good balance between sustainable economic development and protection of the environment in the Arctic. In my view, China's Arctic policy also reflects this balanced approach. I also believe that the paper's emphasis on research and climate change is very important. Global emissions cause rapid climate change in the Arctic, and it is in our common interest to deal with this challenge. GT: Norway and Finland have agreed to explore building an Arctic rail link connecting Finland to the Barents Sea coast. Currently, the majority of sea transportation between Europe and Asia passes along a much longer route that runs through the Suez Canal. How much will this railway contribute to bilateral trade with China? Pedersen: Norway and China already have a broad collaboration on Arctic issues, and I look forward to our continued cooperation. As ice is melting in the Arctic, many stakeholders have shown interest in the Northeast Passage as an alternative shipping route between Europe and Asia. If the Northeast Passage proves to be a commercially viable option in the future, it may offer many new opportunities for Norway if carried out in a responsible and sustainable manner. The need for improved infrastructure on land is another factor that needs to be addressed. A new railroad between Norway and Finland is an option currently being looked into by a joint Norwegian-Finnish commission. Their report is expected to be ready in 2018. GT: Asking a local Norwegian, they would tell you that their salary is about the same as the king. In Norway, the gap between the rich and the poor is very narrow. What is the reason behind this? Pedersen: I am very proud of the fact that Norway is an egalitarian society. There are relatively small differences between people, and we have a more even distribution of GDP compared to most other countries. Norway maintains a welfare model with universal health care and a comprehensive social security system. For instance, we have free education for everybody from elementary school through university. We have a high degree of gender equality and female participation in the workforce and political life. This is important from the perspective of equal rights and opportunities, also an important factor for Norway's economic development. GT: Norway has become one of the most popular tourist destinations for Chinese. What are some places in Norway that are still not well-known among the Chinese tourists that you would recommend? Pedersen: There are so many beautiful places to explore in Norway. I am particularly fond of Henningsvær in the magnificent Lofoten archipelago. This is where my family comes from and where I spent many summers growing up. The natural landscape of mountains and sea is breathtaking. If you go in the summer, you can enjoy the sun that never sets. If you go in the winter, you can watch the Northern Lights. I would also suggest exploring the Norwegian coastline by boat. I recommend the coastal ship Hurtigruten. It travels from Bergen all the way up to Kirkenes, so you can see a long stretch of the coastline. Going by the Hurtigruten is also a great way to explore Norway, allowing you to appreciate the Arctic dimension of our country. You know, as much as one-third of our country actually lies within the Arctic Circle. Another must is a visit to the capital, Oslo, which has something to offer everyone. The exciting new part of the city along the fjord, innovative architecture, great museums and numerous restaurants, bars and cafes are just a few of the draws of the area. And for music lovers, there is always a concert or music festival to go to in Oslo. GT: According to a worldwide survey in 2017, Norwegian people are the happiest in the world. Why is this? Pedersen: I believe happiness is a good measure of social progress and should be a goal for public policy. In my opinion, there are several reasons why Norwegians are among the happiest people in the world. There is a relatively even distribution of wealth, a welfare system with universal health-care and a strong social security system. The fact that schooling is free and that there are systems to support you if you get sick or lose your job, gives people a sense of security. I also believe inclusion is key to explaining why Norway scores so well. Norway has succeeded well in including its people, regardless of age, social background, gender or disabilities, in the labor market as well as in important decision-making processes. CPEC – The Dream Project And Hurdles On Its Way!